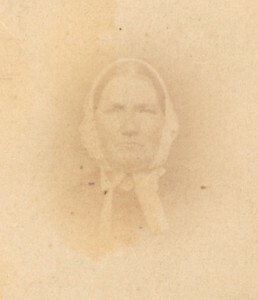 The oldest photo in Joyce’s collection–an 1860 photo of Lovie Elvira Winslow, born in New York in 1796. ScanMyPhotos customer Joyce Harrington has an impressive photo collection that spans three centuries and about seven generations. She has the latest and greatest Mac, but even her brand new computer is at its capacity trying to store Joyce’s 25,000 photos. Yep, we said 25,000! The photo from the 1800s? It’s of Joyce’s great, great, great grandmother (pictured right), who is actually a decedent from the Mayflower. Talk about a picture with a ton of history! Congratulation’s to REI on an unconventional marketing coup, and smart decision to ask people to celebrate families together, rather than shopping on “Black Friday.” #OptOutside is smart and celebrates families over shopping. Sure there will be loads of time to shop before and afterwards. ScanMyPhotos.com corporate headquarters will join REi’s awesome idea and also be closed on Nov 27th, although its full online photo scanning business will be operational. The news announced by REI’s CEO, Jerry Stritzke is matchless; they are putting employees and customers first and asking people to spend the holiday celebrating each other, rather than shopping. We salute the retailer of outdoor apparel and gear for closing its stores on “Black Friday,” the day after Thanksgiving. One of the best ways to use this unprecedented off time is to gather the entire family and revisit decades of past travel and adventure trips, including those where REI products were enjoyed. Think of all those decades of family vacation photos that are still analog and should be revisited. That is where ScanMyPhotos.com, the e-commerce photo digitization company — which scanned 300 million pictures–is ready to help. In advance of Thanksgiving and your time off on the traditional shopping mega sales event, gather your family’s photos and have ScanMyPhotos.com digitize it. Then, on Friday, November 27th, share all those newly digitized memories together as a family. In an era where technology enables us to take 30 selfies in a row just to post the best one, there’s something refreshing about vintage photography. An old photo captured in a spontaneous, unfiltered moment can feel magical—it’s the past coming back to life. 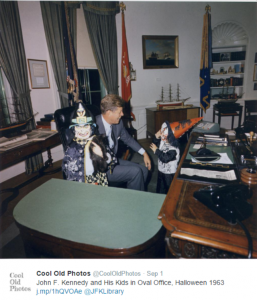 Historical images open our minds to ideas beyond our everyday experiences, showing us what has changed with time and what has remained the same. Four years ago my mom passed away. Along with her passing, I inherited boxes of photos: some from her childhood, some from mine, randomly tossed in a box for me to decipher. This was a daunting task, even for someone as organized me. So they sat… boxes of photos, on a shelf, in my storage room. If I didn’t have to see them, I didn’t have to deal with it (sound familiar?). Years of memories just sitting on a shelf. Isn’t the point of making memories so that you can reflect back on them? Enjoy them? Share stories with your kids and loved ones? So I went on a quest to find a simple way to organize hundreds (possibly thousands) of random photos. A few months ago I connected with the folks at ScanMyPhotos and was excited to find a solution to my photo clutter that wasn’t completely overwhelming. Within a week, you’ll receive your returned photos along with a DVD; additional add-on services include a leather-bound book with all your photos inside, extra DVD’s, a flash drive with all of your photos and other items to honor your memories. It’s that simple! I also want to mention that their customer service department is excellent. I received emails along the way keeping me posted as to where my photos were throughout the process. If you struggle with “photo-overload” go to www.scanmyphotos.com and see which of their services is right for you. Don’t forget to let them know that simply B organized sent you!